A new report from a peer-reviewed medical journal has put an end to the age-old debate: prayer really does work. At just one week old, a baby boy was rushed to the hospital. He was vomiting forcefully and struggling to properly digest formula. Before long, doctors diagnosed him with gastroparesis, a rare disease in which the stomach cannot correctly empty itself of its contents. The young male — whose name has not been disclosed — underwent a series of procedures, all designed to treat his symptoms and maintain the status quo, according to a case report from Complementary Therapies in Medicine. 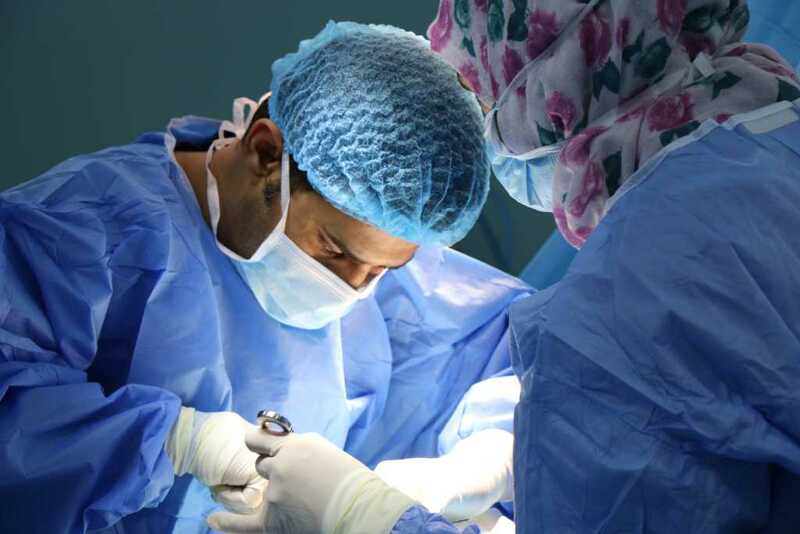 Surgeons performed on the baby both a pyloromyotomy, which loosens tightened muscles causing a blockage between the stomach and small intestine, and a jejunostomy, the creation of an opening through the skin at the front of the abdomen for a feeding tube. He went on to live a relatively normal life, even playing sports. The boy grew up in a Christian home; he had an active prayer life and participated in church activities every single week. He had safely assumed, though, his disease would just be part of his life — forever. The evangelist recounted his own miraculous healing after having his intestines severed in a serious accident when a massive truck fell on his abdomen. During the prayer, I felt an electric shock that started from my right shoulder traveling down through my stomach. That was the moment that I knew I had been touched by the Holy Spirit. Since I have been healed of my illness, I have had more energy than ever before, and have thoroughly enjoyed the new adventure of trying all different types of foods. I have entered into the medical field in search to help the sick and needy, and to give back the great care I received as a patient. In the prior 16 years, the boy was dependent on feeding tubes and could not handle any form of oral feeding. But after that prayer service, everything changed for him. “His intolerance to oral feedings was completely resolved” after the service, the case study reported. The boy’s primary care physician described the incredible shift as “difficult to explain” and recommended removing the feeding tubes as long as he was still having no issues after three months. Now 23 years old, the patient’s tubes were taken out and he has had no recurring symptoms since the November 2011 prayer service. Most interesting, perhaps, is the fact that before the teenager’s miraculous healing, both he and his parents were cessationists, meaning, while they believe God performed miracles in the Old Testament and in the New Testament, they were not convinced he did the same in this modern era. It’s safe to say their perspectives have changed. “The complete resolution of severe gastroparesis symptoms (i.e., dependence on feeding tubes) is not known to spontaneously occur, and studies of placebos have shown only partial resolution of symptoms at best,” the study’s authors explained. This case study has left a lot of questions unanswered. It’s even presented new questions. But it has made one thing clear: prayer really does work.